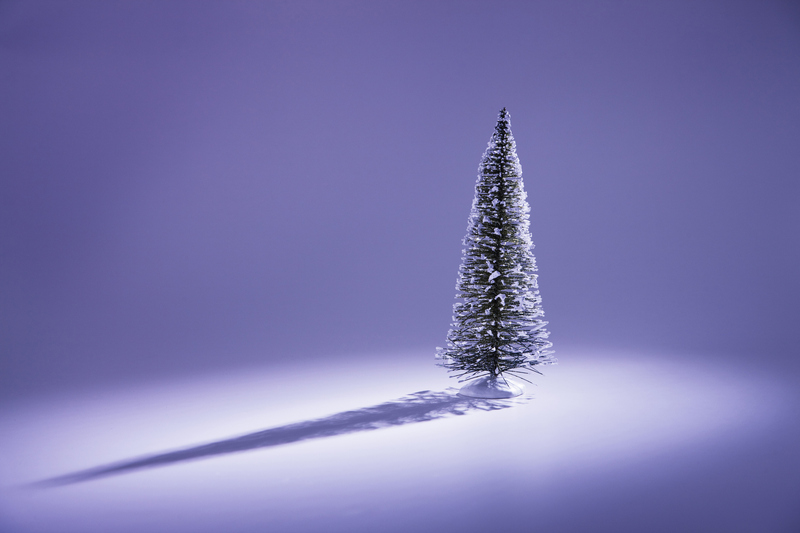 How I learned to fight with loneliness –– even during the “merriest” time of the year. Do you ever look around during the holidays and wonder why you’re not feeling the joy? I remember feeling the most lonely I have every been during the holidays both as a young woman and as a young mother. At the time I thought I was the only one who felt this way, but now I realize that this time of year can trigger feelings of being lonely, insecure, and not enough in all of us at one time or another. I think it’s because we’re bombarded with images and messages about what merry is, what family is, what festive is, what cheer is, and what being happy looks like. Who can live up to those picture-perfect Instagram feeds and romantic-comedy holiday movies? And it’s not just the holidays. All year long we’re inundated with images and messages reminding us to feel happy, to experience joy, to be grateful—but at the same time we’re getting equally strong messages telling us we’re not enough and that we need to achieve more, perform better, and “fix” our bodies to live up to an ideal. It’s no wonder all of us on the receiving end of these mixed messages feel confused and isolated. During one of my loneliest points—when I was 18 years old and moved from my nurturing town of Eugene, Oregon, to Los Angeles—I filled my empty heart and the pit in my stomach with food. This of course didn’t help me. I remember tearful phone calls with my mom about how alone and heavy I felt both in body and in spirit. She suggested I surround myself with people who feed me and fill me up with positive energy. During this same era, I discovered group exercise, which eventually led me to the John Wooden Center at UCLA, where I taught my first fitness classes. My motivation for joining the classes was to lose weight, but the reason it worked had nothing to do with how many calories I burned. The exercise felt good, but the community and support was what changed my life—and, I would argue, what led to my physical transformation as well. My mom is a wise woman. Many years later, my husband, Chris, and I found ourselves lonely as a couple. We lived in the Bay Area, we were surrounded by people through our work and where we lived, and we had two beautiful children, but we didn’t feel connected. We felt empty. We spent hours in cars commuting or at our desks working. Many of our social connections were fragmented and lacked the depth and honesty that make both of us thrive. Instead of accepting our loneliness as a normal part of being adults, we took an honest look at our lives. We quit our ladder-climbing jobs, sold everything, moved to Portland, Oregon, and opened our first barre3 studio. We knew we wanted to create a remarkable class, and we spent tireless hours developing it, but—and I know this will sound radical coming from the owner of a fitness company—we built barre3 with the instinct that relationships are even healthier than exercise. We set an intention to create a space where everyone who walked through our doors was seen, heard, and encouraged to honor their truth. Ten years later, you can see this vision come to life throughout the company—everywhere from our home office, as our team members bond over the warmth and openness that we manifest each day, to our studio lobbies, as our diverse clients come together before and after class to listen to and support each other. But perhaps my favorite manifestation of our original vision is in our attention to modifications in the barre3 class. Instead of expecting everyone to do each move the same way, we have a practice of affirming clients who choose to do a move differently. This is a very important moment because it is when we show clients that we see them and value them just as they are. This simple act of seeing, hearing, and affirming everyone shows people that they matter as individuals. It fosters an authentic connection, and that—not exercise—is what helps fight lonely over and over again. We work on this skill as much as we do our choreography and playlists. I wouldn’t go so far as to say I’m immune to loneliness now. But now that I’ve experienced the power of authentic connection, I am very intentional about making sure I immerse myself in environments that nurture me. Especially as we head into the holidays, I’m intentional about doing things that help me feel energized, at home in my body, and grateful for my very real and very imperfect life. This mindset isn’t easy. It’s a practice and something that I work on every day by immersing myself in our community, taking time for meditation, and enjoying the hectic yet beautiful in-between moments mothering my teenage kids. It’s also what inspired me to take a different approach to our January Challenge. This is not your typical fitness challenge, where you’re prescribed a certain number of workouts each week and given recipes for nutritionist-approved meals—all in the name of reaching an ideal. Instead, this year, I am inviting everyone to join me and my partners at Headspace for a month of being present and at home in your body, just as it is in this moment. We won’t chase results or ideals. Instead we will learn to be deeply appreciative of the bodies and lives we get to inhabit. Do I enjoy loneliness? No—but I’m grateful that I’ve experienced it. For me, it was a deeply personal experience that triggered low self-esteem, depression, and longing to be seen, heard, and loved just as I am—and it’s what ultimately led Chris and me to create barre3. Thanks to loneliness, I now have the immense privilege of not just being a part of a community that feeds me, but also of sharing that community with thousands of people all over the world.